Hey lovely Just J readers! It’s Kelly from Glitter Diaries here. This month, it was the guest post challenge for all participating bloggers in the Canadian Beauty Bloggers Network to blog about their 2015 beauty resolutions. The odds were in my favour as I was selected to guest post for MizzJ and I couldn’t be happier as I started following her blog a couple months ago and it’s been one of my favourites to read! I’m currently living in an apartment and will be buying a house within the next couple months. And in my apartment that I’ve lived in for over 4 years, I’ve collected quite the over flowing makeup collection and try to keep as much of it contained as possible in two very basic looking 5-Drawer Sterilite Towers from Walmart. They’re functional but not that pretty and fun to look at! So for a beauty resolution for 2015, I think I’m going to revamp my makeup storage situation! These are some of the plans I've got in mind to turn these storage towers into something sparkly and new! Starting off by adding some gold spray paint to just the tower itself, minus the drawers, I can change the look of the whole thing from blah to beautiful! A couple coats should do the trick to make it glisten in gold. Then I will tackle the drawers themselves by applying some modge podge to the inside of the drawers on the bottom and inside walls. This will allow me to add a beautiful turquoise and gold wrapping paper as an inner liner and as the design that will show through the clear drawers on the outside. 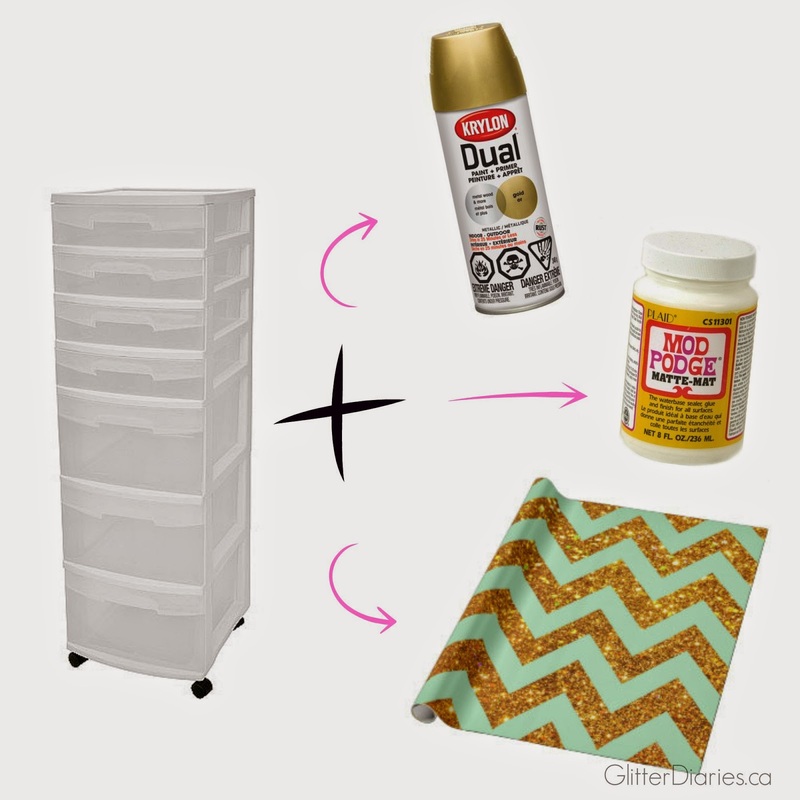 The steps towards creating a whole new storage system aren't all that difficult since I've found plenty of tutorials online and through Pinterest, so it’s something I think anyone can take on if they wanted to spruce their own storage up. home décor piece and I can’t wait to work on it! What are your beauty resolutions for 2015? !